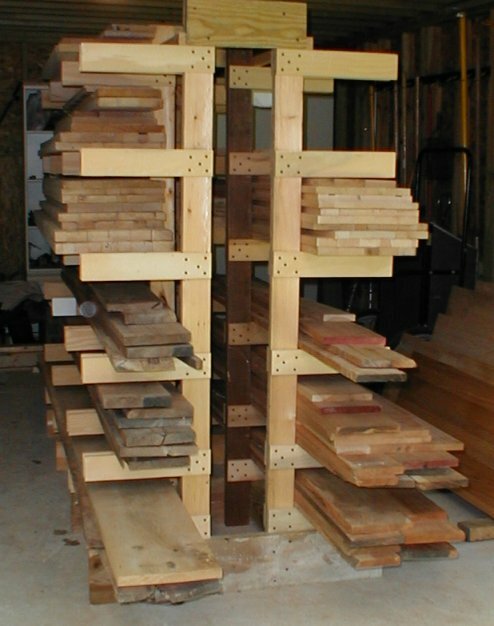 A retiring woodworker was unloading all of his lumber supply. So I took it off his hands for a small fee...along with a nice set of lumber racks. 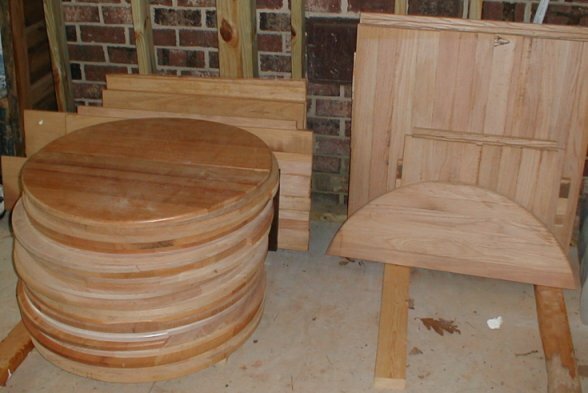 There was about 130bf of cherry, 40bf of walnut, some pecan and furniture-grade plywood and ~600bf of oak. The oak was mostly glued-up panels that were apparently rejects from a furniture factory. 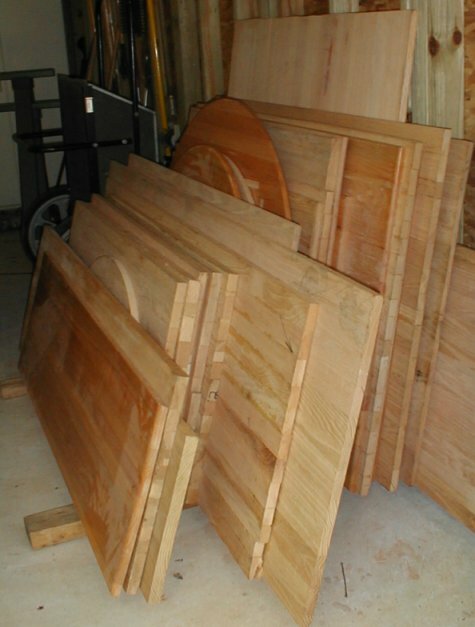 Most of the panels have a split board or glue-up defect.